Josha Vagnoman - Who will win the race for the wunderkind? An English vs German tug of war has ensued for the signature of Hamburg wunderkind Josha Vagnoman whose contract expires at the end of this season. The Futbolgrad Network has learned that Arsenal, Everton, Chelsea and German teams Bayern München, Borussia Dortmund and RB Leipzig are all in the race to take Vagnoman from Hamburg, who have also offered him a new contract. The Gunners think they are leading the race in England due to their German connections of the head of recruitment Sven Mislintat, who watched Vagnoman on several occasions. But new Everton sporting director Marcel Brands is determined not to lose the battle as he sees Josha Vagnoman as a long-term replacement for Leighton Baines. English clubs might feel that they have the upper hand. However, there is a high probability that Vagnoman will remain in Germany. Bayern, in particular, have been aggressive when it comes to youth player recruitment in recent months. The Bavarians have opened a new youth training academy at the outskirts of Munich investing €70 million with the goal to bring the brightest young players from all over the country to the Bavarian capital. Borussia Dortmund, in the meantime, have long been one of the best clubs in Germany when it comes to identifying the best talent, both abroad and at home, and the Yellow and Blacks are always willing to give youth a chance even at the highest level. The same can be said for RB Leipzig, where English winger Ademola Lookman has impressed this season, after receiving little to no playing time in England. Keeping those factors in mind Vagnoman’s development might be better served by staying in Germany and join a club like Leipzig or Dortmund. But with his contract expiring the door has now opened for the 17-year-old full-back. In fact, the 17-year-old is regarded as one of the brightest young talents in German football, making his senior debut against Bayern München at the age of only 17 years and three months making him the second youngest player in history to play in Bundesliga. 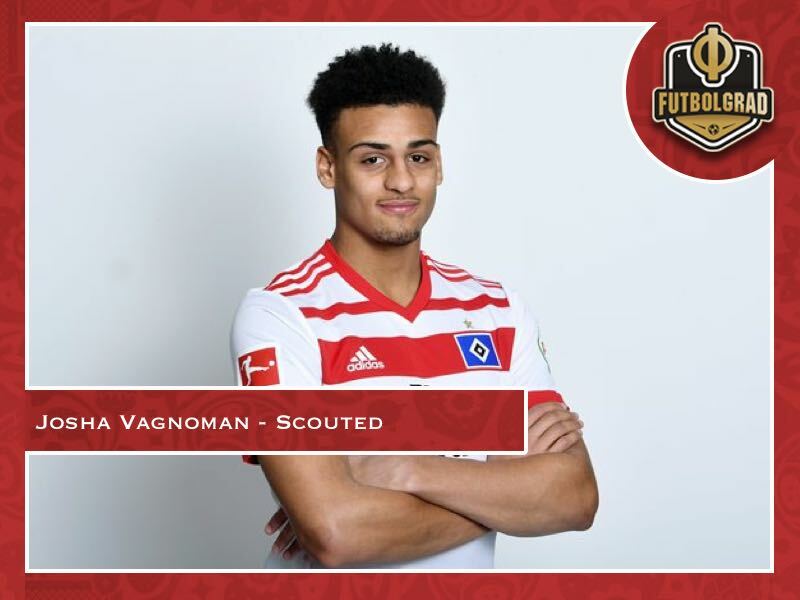 Extremely talented Vagnoman can play at either left or right full-back and featured in every game of Germany’s Under-17 World Cup campaign, where they were knocked out in the quarter-finals by Brazil. It is, therefore no surprise that several top clubs from both the English Premier League and the Bundesliga are now chasing Vagnoman for his signature. In Hamburg, this development is seen with some caution. HSV coach Christian Titz sees Vagnoman as an important part of Hamburg’s rebuilding effort – the club was relegated to Bundesliga 2 for the first time in its history this May – and would like to keep Vagnoman in the Hansestadt.